Veterinary border control ensures that live animals entering the EU meet the specific import conditions laid down by the Community legislation. A list of Border Inspection Posts and their contact details can be found on the European Commission website. 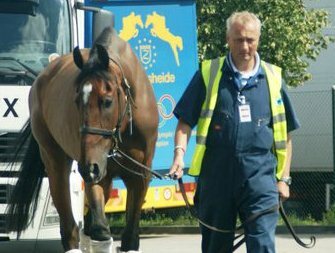 At this point a Common Veterinary Entry Document (CVED) will be issued and the horse can continue its journey within the EU.